30/12/2018 | Listen & Enjoy #F2 Movie Full Songs Jukebox. Starring #Venkatesh & #VarunTej, #Mehreen, #Tamannah, Directed by #AnilRavipudi & Music Composed by #DeviSriPrasad, Under the Production Of Sri Venkateswara Creations. Movie : F2 Banner: Sri Venkateswara Creations Producer : Shirish, Lakshman Starring : Venkatesh, Varun Tej,Tamannah, Mehreen Music : DSP Cinematography : Sameer Reddy PRO : Vamsi Kaka Digital Media : Nani Music Label : Aditya Music. 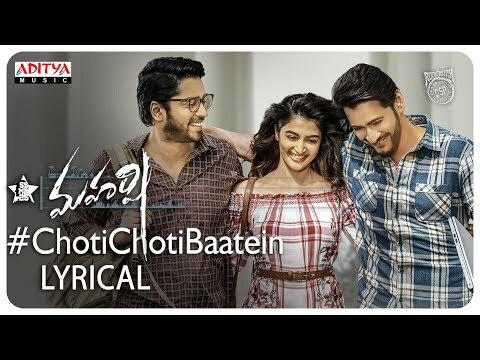 00:04 - Rechipodham 03:49 - Entho Fun 08:23 - Honey Is The Best 11:33 - Dhan Dhan 15:21 - Girra Girra 20:17 - Ding Dong Rechipodham Music: Devi Sri Prasad Singer: David Simon Lyrics: Kasarla Shyam Keyboards: Vikas Badisa, Rhythm: Kalyan, Chorus: Anirudh Sushwaram, Sudharsan Ramakrishnan, Ashwin, Tanuj Menon, Sony, Anu Anand, Srisha Vijayasekhar, Srinisha Jayaseelan Chorus conducted by J Chittey Prakash Rao Entho Fun Music: Devi Sri Prasad Singer: DSP Lyrics: Shreemani Keyboards: KP, Rhythem: Kalyan, Solo Violin: Padma Shankar Bass Guiter: Mani, Flute: Kiran, Guitars: Godafray Immanuel Honey Is The Best Music: Devi Sri Prasad Singer: Hariharasudhan Lyrics: Shreemani Keyboards: KP, Rhythm: Kalyan, Solo Violin: Balaji, Trumpets & Trombone: Babu Chorus: Anirudh Sushwaram, Sudharsan Ramakrishnan, Ashwin, Tanuj Menon, Bhargavi, Roshini, Nincy & Anu Anand, Chorus conducted by J Chittey Prakash Rao Dhan Dhan Music: Devi Sri Prasad Singers: Hemachandra, Sravana Bhargavi Lyrics: Kasarla Shyam Keyboards: KP, Rhythm: Kalyan, Solo Violin: Balaji, Trumpets & Trombone: Babu Chorus: Anirudh Sushwaram, Sudharsan Ramakrishnan, Ashwin, Tanuj Menon, Bhargavi, Roshini, Nincy & Anu Anand, Chorus conducted by J Chittey Prakash Rao Girra Girra Music: Devi Sri Prasad Singers: Sagar & MM Manasi Lyrics: Balaji Keyboards: KP, Keyboards: Vikas Badisa Rhythm: Kalyan, Trumpets & Trombone: Babu Ding Dong Music: Devi Sri Prasad Singers: Rahul Sipligunj & Malathi Lyrics: Kasarla Shyam Keyboards: KP, Keyboards: Vikas Badisa, Rhythm: Kalyan, Live Rhythms: Laxmi Narayana & Raju, Shehnai: Balesh, Frets & Guitars: Subhani ,Trumpets & Trombone: Babu Chorus: Anirudh Sushwaram, Sudharsan Ramakrishnan, Ashwin, Tanuj Menon, Sony, Anu Anand, Srisha Vijayasekhar, Srinisha Jayaseelan ,Chorus conducted by J Chittey Prakash Rao ------------------------------------------------------------------------------------------ Enjoy and stay connected with us!! ►Subscribe us on Youtube: http://bit.ly/adityamusic ►Like us on Facebook: http://www.facebook.com/adityamusic ►Follow us on Twitter: http://www.twitter.com/adityamusic ►Follow us on Instagram: https://www.instagram.com/adityamusicindia ►Follow us on LinkedIn: http://bit.ly/2Pp6ze3 ►Circle us: https://plus.google.com/+adityamusic SUBSCRIBE Aditya Music Channels for unlimited entertainment: ►For New Movies in HD: http://www.youtube.com/Adityamovies ►For Songs with Lyrics: https://www.youtube.com/AdityaMusicNM... ►For Devotional Songs: http://www.youtube.com/AdityaDevotional ►For Kids Educational: http://www.youtube.com/AdityaKids →"మా పాట మీ నోట" Telugu Lyrical Songs - http://bit.ly/1B2EcJG →Latest Tollywood Lyric Video Songs - http://bit.ly/1Km97mg →Ever Green Classics - https://goo.gl/1fZEDy →Popular Jukeboxes - https://goo.gl/LNvAIo →Telugu Songs with Lyrics - https://goo.gl/7ZmgWT © 2018 Aditya Music India Pvt. Ltd.